Most rogues are looked upon with contempt or loathing by civilized folk, or simply ignored altogether. There are some among the ranks of the Thieves, however, who command respect through fear, and whose names are voiced with either dread or hatred: Assassins. Not content with stealing gold or plunder, these grim professionals steal lives instead, killing for their wages, trading blood for gold. Some Assassins are ruthless predators who've developed a taste for blood and thrill at the act of killing, while others are grim professionals, bringing a kind of honor even to the direst of professions. However they approach their profession, Assassins must be able to do three things: get close to their targets, kill them quickly, and escape uncaught. The ease with which an Assassin performs the first and third tasks marks the difference between an amateur and an artist. The Assassin is a stealth class that specializes in quickly eliminating one target. They are highly-prized in group fights for their ability to block all healing on a target with Shadow Mantle. Solo players will also find the Assassin's kit quite versatile, however, they have few ranged weapon choices and no way to increase their movement speed, relying on Steal Breath to slow their target instead. 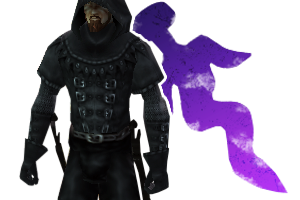 The Assassin's varied kit allows the class access to a variety of builds with focuses on different spells. While Shadow Mantle is often the key spell in their arsenal, Assassins can be built to thrive in different PvP environment, with damage and support being their best roles. The choice of playstyle starts right from creation, when you pick your base class, as Rogue Assassins and Mage Assassins play very differently. Shadow Bolt is your bread and butter spell on a damage-based Mage Assassin and Steal Breath allows you to kite very effectively. Support-based Mage Assassins revolve around keeping Shadow Mantle on a targeted enemy during a fight. Shadow Mantle is placed very far to the right on the effects bar so, with the plethora of Assassin and Mage debuffs, key moments of a fight are often spent trying to keep a debuff in front the Shadow Mantle effect so a Dispel Debuff spell doesn't remove Shadow Mantle. Though Mage defensive stance gives good spell resistances, Mage Assassins are light on defensive options so beware not to let someone get the jump on you! The power rank 40 backstabs are a tremendous boon to your burst damage. Due to the nature of the powers, you activate Backstab first and then cast one of its poison variants you can execute a double backstab! 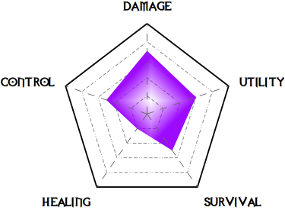 Dodge is the best passive defense in the game, so it is recommended to put at least some training in it; however, high defense is often the primary damage mitigation method for Rogue-based prestige classes. Rogue Assassins are very tight on training points, so have a clear vision of what powers and focus lines are necessary in which to invest heavily. These powers cannot be trained higher. Use these ranks to plan accordingly. This page was last modified on 13 February 2018, at 03:15. This page has been accessed 319,115 times.